The world of online finance is convenient and helpful, but it can also be a scary place. When you are looking for a loan to start or expand your business, you want to put your best foot forward to avoid those nasty words: turned down. Although online financing is time-consuming and complex, it is still a valuable resource. Here are three online financing websites that can benefit your business. SBA Loans - The Small Business Administration, founded in 1994, offers a wealth of information and resources for your new small business. With many types of loan products - from start-up loans to disaster relief loans - the SBA website is a great place to start. They feature small business government-backed loans, business credit cards, general small business loans, loans for women-run businesses, and unsecured loans, so there really is something for everyone. Check out their additional learning resources and the business plan builder that prompts you with questions that you answer to create a great plan, which is an essential step towards obtaining your loan. Lending Tree - If you are shopping around for the best loan product and are looking to compare your options, Lending Tree is the place to start - the site advertises with a slogan: let lenders come to you. After you input your information, such as what kind of loan you want and how the loan is going to be used, Lending Tree searches out the best loan holder for you. This site is great for the company that seeks to save time and resources by letting Lending Tree do the searching for you. It is a powerful search-engine-based site, so if you are shopping around bit, it can save you the headache of submitting a new application to each site. On Deck - Having helped over 50,000 companies expand, On Deck is a full-service website focusing 100% on their customers' goals and helping them achieve success in many ways. You can apply in minutes and receive funds as soon as 24 hours after you submit your application. This company will evaluate your actual performance and not just your credit. They were also recently listed on the New York Stock Exchange in 2014. If you are looking for a more holistic approach to getting a loan, look no further. On Deck incorporates more than just funding for your business. Need business advice and a more hands-on approach? On Deck could be your solution. 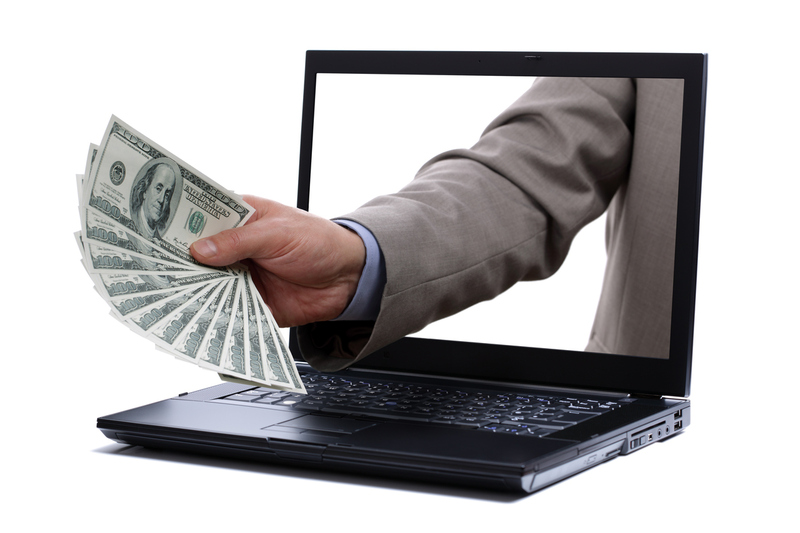 ​The internet has made obtaining a business loan a simple and convenient process. Whether you need funds for start-up capital, a business credit card, or a line of credit for company improvements, T&E, or miscellaneous expenses, going online and filing out an application has become standard for busy CEOs all over the world. For more information about online bookkeeping and accounting - to make your life easier - contact us today!